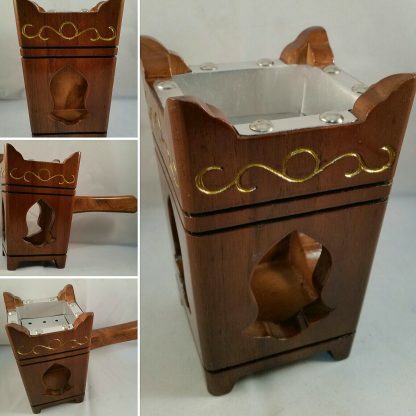 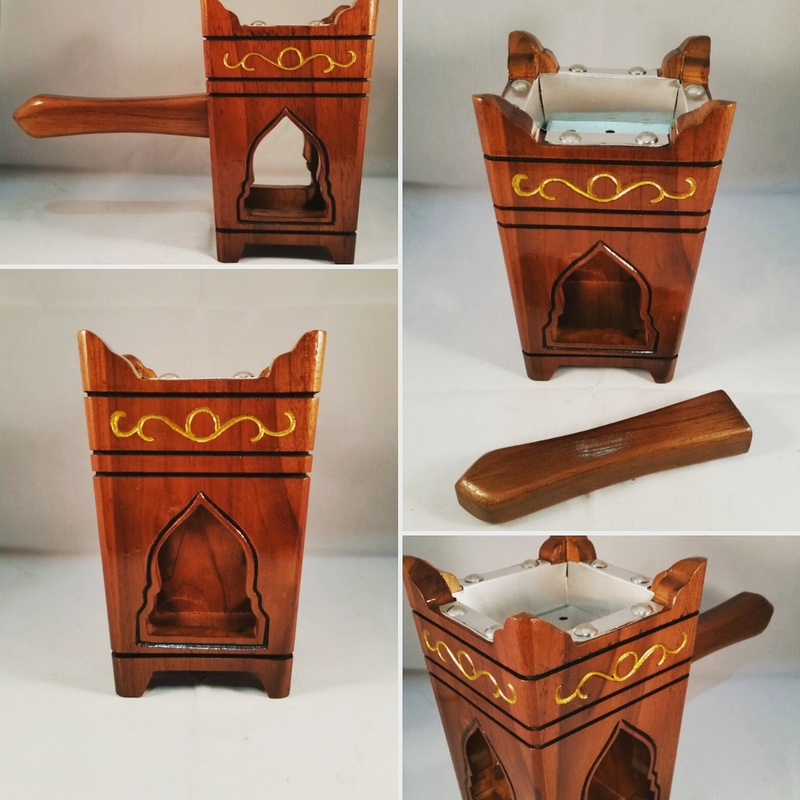 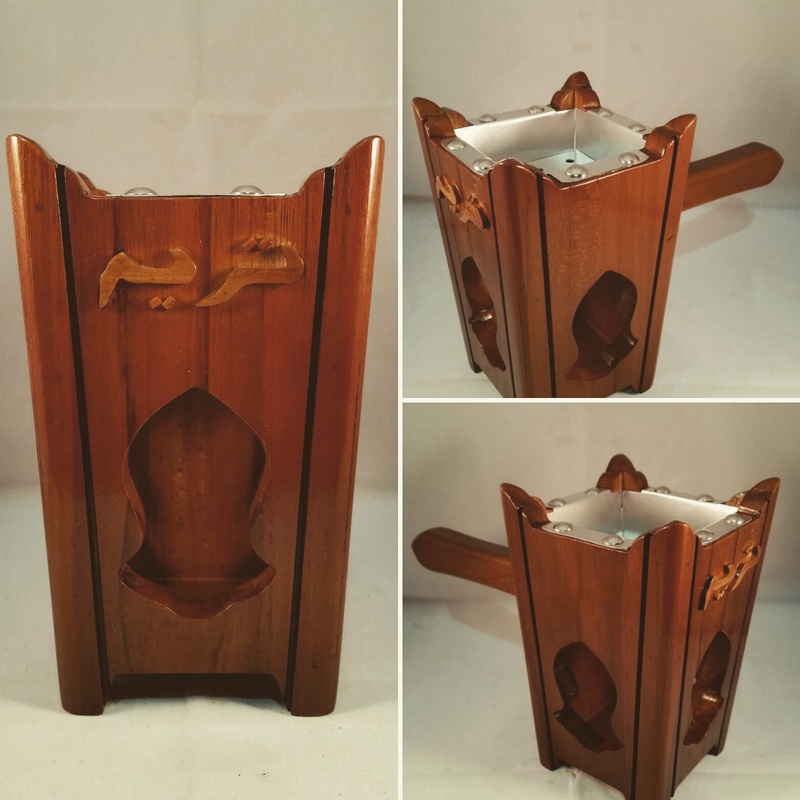 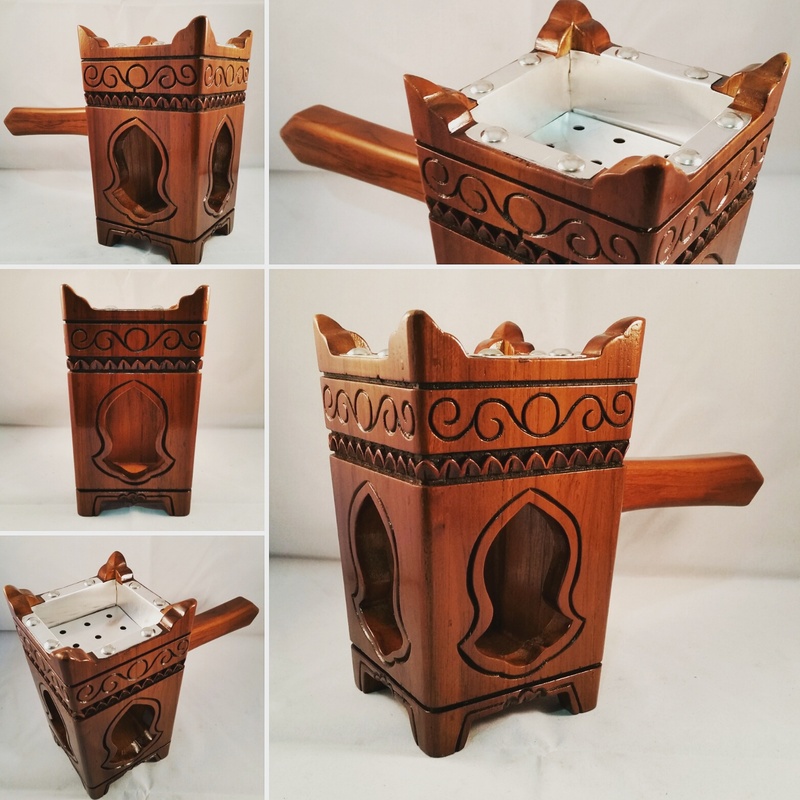 Handmade Tarimi wooden incense burner. Made from teak wood (naturally strong and termite-free), has been treated/fumigated. 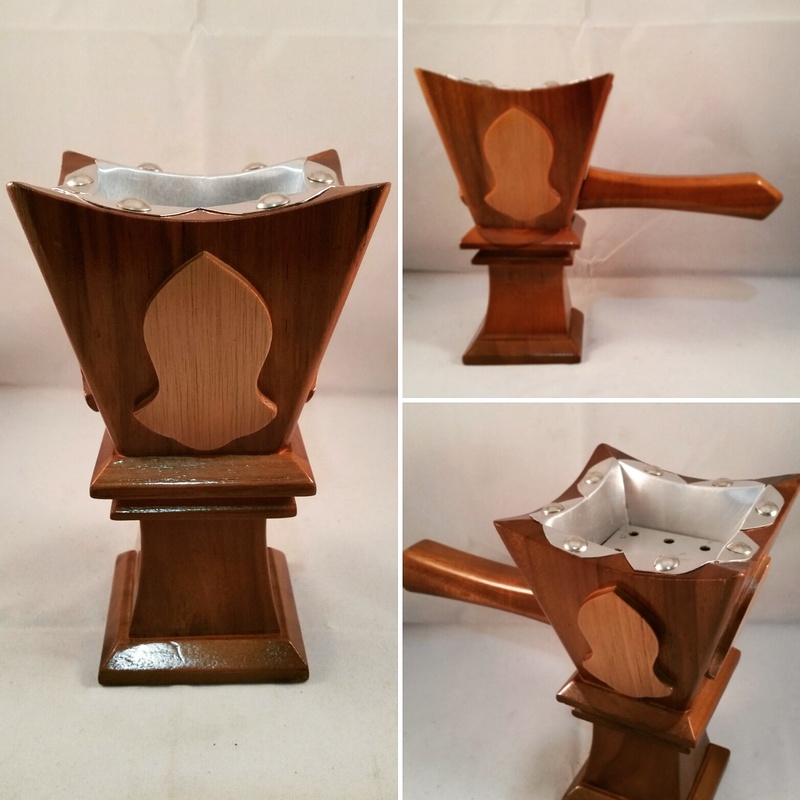 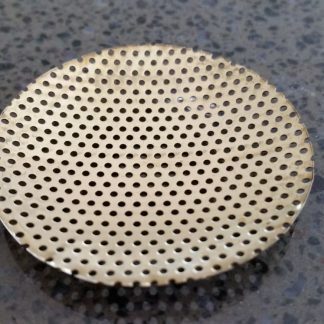 Featuring removable handle and tray.